The positive relationship between running and psychology continues to gain credibility, with the benefits of getting outside for a jog enriching other aspects of our lives. While psychologists extolling the rewards of running is not a new phenomenon, it is certainly picking up steam in the health and wellness community. Psychologists are increasingly viewing running as a tool to improve a person’s psychological state and overall wellbeing. 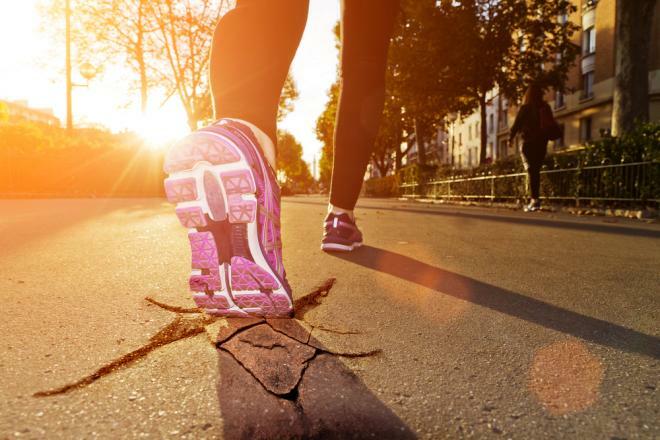 There’s evidence that people take up running as a problem solver—i.e. when they feel they’re getting old, or in an effort to lose weight. Adam Alter and Hal Hershfield of NYU’s Stern School of Business, for example, have found that “first-time marathon runners were especially likely to have an age that ended in a ‘9’—in other words, to be on the cusp of a new decade.” And in an article published in The Psychologist, clinical psychologist Jamie Hacker Hughes explains how running allows you to organize things in your mind and encourages creativity. “All my best ideas have come to me and have been worked out while I am running,” says Hughes. I can personally confirm the value of running for my overall mental wellbeing and creative output. I was not born a gifted runner, mind you. I have had to cultivate a “runners mind” by sheer willpower, and the benefits have been two-fold. First, as highlighted by Hughes, the act of running encourages creativity in a similar way to the Inspiration Paradox, or the premise that letting ideas come to you can be more productive than forcing them in a rigid setting. The second benefit has come about through attention to detail and focus. 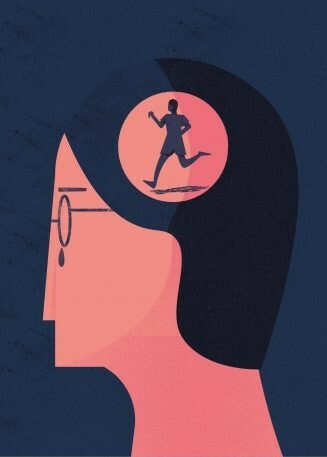 Running allows you to organize things in your mind by focusing on performing one task well—running—and letting all else move freely through your mind. Bringing it all together is incredibly rewarding, and something that can be applied to other parts of life. In addition, the benefits can be felt not just during exercise, but afterwards, thanks to the cognitive processes involved. A study by Emily Bernstein and Richard McNally, published in Cognition and Emotion, found that aerobic exercise may alter the way people respond to their emotions. “Moderate aerobic exercise may help attenuate negative emotions for participants initially experiencing regulatory difficulties, specifically in the realm of emotional processing,” the study concluded. The study contributes to a wider body of research suggesting that running may slightly reduce cognitive function during the run, but boost it directly afterward. Intense endurance activity is suspected to lead to an increase in endocannabinoids—the brain chemicals that signal pleasure, according to a 2012 study published in The Journal of Experimental Biology. The “neurobiological rewards” theory of the runner’s high could also imply that we as humans have evolved to enjoy running. Going on a daily run can become your sleeping aid for getting a good night’s sleep, too. A 2012 study published in the Journal of Adolescent Health found those who run regularly in the mornings showed an improvement in objective sleep. Subjective sleep quality, mood, and concentration during the day also improved, whereas sleepiness during the day decreased. Although the study focused on running during the day, an afternoon or night run can also reduce sleeping difficulty through its body-heating effects. Exercise is known to trigger an increase in body temperature, and the post-exercise drop in temperature may promote falling asleep. Moreover, exercise can reduce sleeping problems by decreasing arousal, anxiety, and depression. Running for a short period of time every day can even cut your risk of cardiovascular disease by almost half. People who run regularly have a thirty percent lower risk of death from all causes, and a whopping forty-five percent lower risk of death from cardiovascular disease, according to a 2014 study. Weekly running, even just five-to-ten minutes a day and at slow speeds less than six miles per hour, will suffice to reduce the risk of mortality, compared to not running. Running is considered a vigorous-intensity aerobic activity that can help you meet your mental and physical activity requirements and benefit your overall health. And you don’t even have to run fast—or for that long—to make an impact. It’s time to lace up and chase the benefits of running—for your brain, your body, and your overall wellbeing.